I wrote how democracy was subverted in both the Democratic and Republican Parties during the 1952 presidential primaries in The Double Coup of Fifty-Two back in 2014, before Bernie Sanders decided to seek the Democratic Party nomination for President. While the Sanders run is recent history, it has already been mythologized by his ardent followers. I think a lot can be learned, by those who are willing to learn, about presidential nomination races by comparing the Democratic Party campaigns of 1952 and 2016. Of course in many ways 1952 was a very different time, and that has to be taken into account. America was the top dog (or jackal) in the world, as the British and French empires crumbled. Our factories had not been bombed in World War II, and the profitability of shipping product to all of the non-communist world let us build even more. The Democratic Party was overtly racist, especially in the former Confederacy, and the Republican Party still had a liberal wing. Most important of all, not only was there no Internet, but Television was new, not yet available to many Americans. Computers were a few giant machines that sorted punch cards to keep track of the accounts of insurance companies and banks. Estes Kefauver was much more famous before 1952 than Bernie Sanders was before 2016. Kefauver had initiated and chaired the Senate Special Committee to Investigate Crime in Interstate Commerce. Other than that he was your basic New Deal, southern Democrat, who we would now describe as a racist, though he voted to enact a federal ban on state poll taxes (taxes paid to vote), which discouraged poor people of all races from voting. Before 2016 Bernie Sanders was almost unknown except in the Senate itself and in the state of Vermont. I had heard of him because, though he ran as an independent, he liked to call himself a socialist. When he was thinking of running I researched him on the internet, which was before all the pro-Sanders postings rose to the top of the search services. Leftists and other locals in Vermont had written quite a few critiques of him, both in general and on particular issues. He had leftist pretensions way back, refusing to support George McGovern in 1972 because he was not lefty enough! When Bernie was first in office, in the left-most town in Vermont, he still talked lefty, but when he later ran for the U.S. House, in a state with a Republican majority, he emphasized his status as an Independent, and had no problem telling Republican voters what they wanted to hear. His voting in Congress often reflected his conservative base, including his support for unnecessary military spending. To get the nomination, both Senator Kefauver and Senator Sanders had to work the nomination system of the party, and there both ran into resistance. But the system had changed. It was not possible to win in 1952 just by winning the state primaries. Most states did not have primaries or open caucuses, and even those that did gave them little or no binding power over delegates. Kefauver, popular for exposing organized crime and political corruption on national television, started as the front runner in the polls, and ended up the front runner. Harry Truman was President, and while not officially in the race, was seen as a placeholder so the party bosses would nominate someone other than Kefauver. In the New Hampshire primary Kefauver decisively beat Truman. 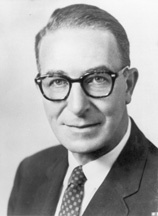 Kefauver won a total of 14 of the 16 Democratic primaries held that year. National polls put Kefauver in a commanding lead among democratic voters, and the only candidate capable of beating GOP favorite Dwight Eisenhower. But the bosses did not like Kefauver. Most had close ties with organized crime. In the south, Kefauver's vote against the poll tax enraged racists. The bosses needed someone else, and they bought votes at the Democratic Convention for their favorite. Adlai Stevenson, part of the Chicago organization, was no enemy of organized crime or the party bosses, though ostensibly a liberal. At one point Kefauver was offered enough votes to win the nomination if he would just say his "mind was open" to the Tidelands oil deal. "But my mind isn't open," the candidate said quietly, handing the draft back to an aide. "The whole thing is a steal. I can't sign it." And so Adlai Stevenson became the Democratic nominee, and went on to lose to Eisenhower. Who, by the way, supported the resulting Submerged Lands Act. That, in turn, led to very negative environmental impacts. By 2016 the Democratic Party had been reformed more than once, with the result that most states had primaries, those that did not held caucuses, and ordinary democrats could decide the nominee, unless a race was so close that superdelegates (mostly elected officials) would be able to cast the deciding votes. Bernie Sanders was not famous when he announced his candidacy. That was because he was basically a do-nothing Senator. He was not even a Democrat. He positioned himself to the left of Clinton, but given his voting record, he could just as well have positioned himself to her right. Given that he started so far behind Hillary Clinton, he did quite well. His angry-old-white man style appealed to a new generation of young white male voters who had just suffered through the Great Recession. His promise of free college for all was accepted at face value, even though he had never gotten free college for the people of Vermont, and his wife had been a fat-cat running a private college that bilked students of student loan money. The fact is that Sanders lost to Clinton in the primaries. Clinton won 55.2% of the total primary votes to Sanders' 43.1%. Clinton's advantages were myriad, and she was the favorite of party insiders, but the Sanders campaign showed the insiders had little or no control of Democratic primary voters. Sanders lost because of his lack of accomplishments, the fact that he entered the race so late with so little preparation, and the fact that he tried to prevent a female from being nominated and becoming the first female President. So what about 2020? If the economy is still growing, Donald Trump will be hard to beat, despite his many faults. With no Democrat having a clear fundraising advantage yet, it is an open field, and many are thinking of running. Democrats are a diverse group. Many would like a woman candidate, but there is still the question of whether to nominate a liberal (who the Republicans will label a socialist) or a progressive (who the Republicans will label a communist). A lot comes down to personality. Since the economy is likely to still be strong in 2016, I am guessing that the angry ranting style of Sanders won't work so well in this election. Voters will want someone who seems capable of undoing the damage Trump has done, and bringing us closer to a truly united America with liberty and justice for all.